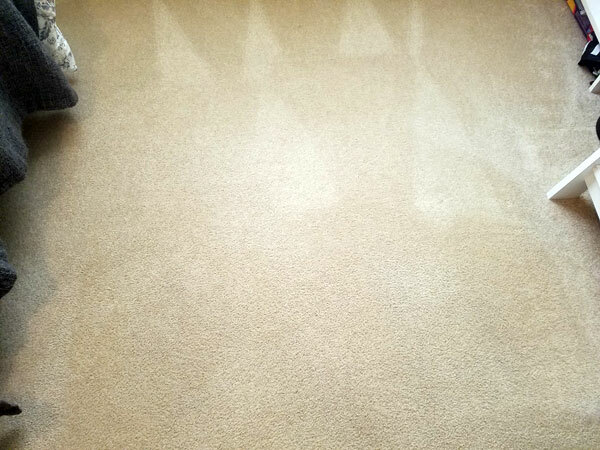 If your carpet is in pretty good condition but there are some spots that could use a touch up I recommend Chem-Dry's World Famous Spot Remover. The World Famous Spot Remover is the best carpet cleaner you can buy. These pictures are from a spot cleaning in Tampa FL. The spots were created by a plant that had fallen over and the home owner used her vacuum cleaner to clean up the potting soil. Her vacuum cleaner ground some of the dirt into the carpet and left these marks. There are a lot of carpet cleaning products on the market and most of them do a good job of removing carpet spills and spots, but they all leave cleaning residues behind that can attract dirt. Ever clean a carpet spot and a few days later it came back? It came back because your carpet cleaner left behind an invisible residue, most likely soap or a surfactant. The more you clean the spill the more residue that cleaner left behind. The best carpet cleaners don't use soaps or surfactants to remove spots. Chem-Dry's World Famous Spot Remover uses the power of carbonation to remove carpet spills. That's why its one of the best carpet cleaners on the market today. 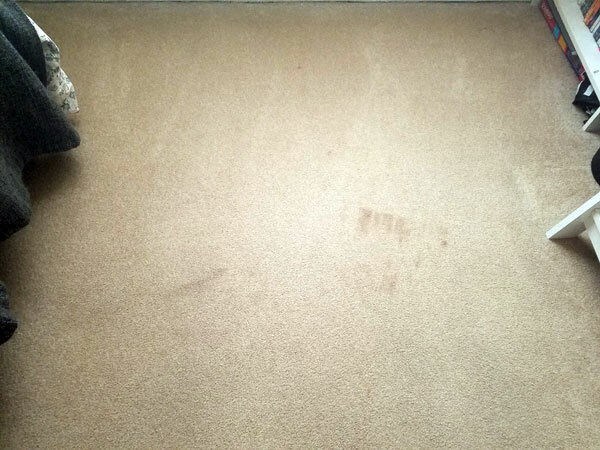 If you live in Tampa FL and you're interested in trying The World Famous Spot Remover you can have it delivered to your home by a trained carpet cleaning technician. 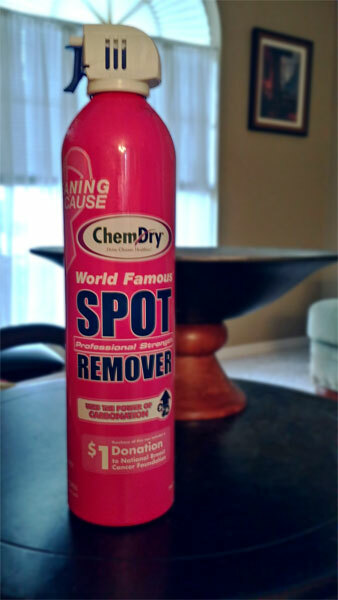 Call Chem-Dry of Tampa and we will drive to your home and sell you a bottle of The World Famous Spot Remover. For the best carpet cleaner in Tampa FL call Chem-Dry of Tampa.